Periscope is a live streaming app that uses your smartphone to broadcast video real time to your followers and anyone else who wants to join in. Periscope is directly connected to your Twitter account, so every time you go live, your twitter account is updated with a link for viewers to join in! On Periscope, you can connect with your followers, read and respond to comments in real time, and get Periscope “love” (hearts) when your viewers tap the screen. With Periscope your broadcast – also called a “Scope” – is only viewable for 24 hours, which gives an incredible “sense of urgency” for your followers to tune in or watch the replay! 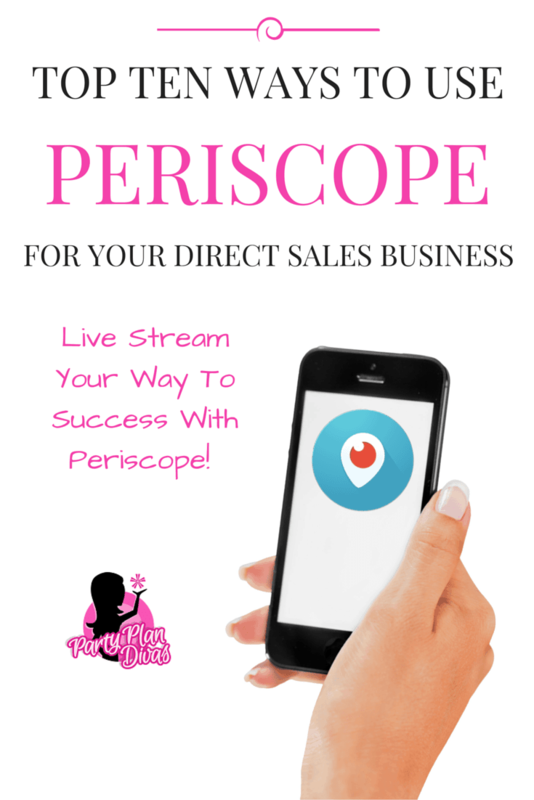 Here are some ways to maximize this unique platform to help your direct sales business – and be sure to join PartyPlanDivas for our December Video Challenge to help practice your Periscope skills! Periscope Exclusive Videos – Entice your customers to follow you on Periscope for *exclusive* videos, deals, specials, etc. Periscope is another opportunity for you to connect one-on-one with customers and potential customers in real time. You can offer exclusive videos of product reviews and other features to your Periscope followers only! 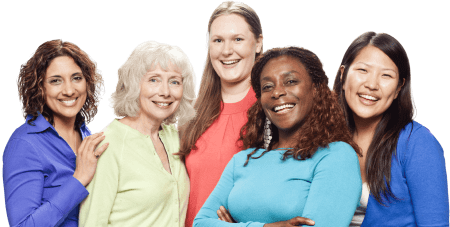 Live Q&A Sessions – People LOVE getting answers to their questions right away! Invite your followers to tune in with their product or opportunity questions in real time! To avoid “dead time” make sure you have a list of a couple common questions that you can answer to begin the conversation. Some examples of common questions may be what your best selling product is, how a product works, or what some of the benefits are to joining your team. New Product Launches – Periscope is an incredible place to launch new products! You can literally video as you are opening the box and share the excitement of unpacking! You can explain what each product is as you pull it out of the box, and explain what it does – along with how they can order! Make sure to watch the screen for questions – and ask your viewers for their feedback too! OLD Product Features – What is a little known – but “must have” – product from your product line? We all have them – let Periscope be where you show them off! Consider doing something like a “30 Days of Faves” where you feature a new product every day with your followers! This will gain your viewership as well as get your viewers used to tuning into your Scopes on a regular basis. Product “How To’s” – Show off your expertise in your field by showing off how to use your products, why someone would want to use your products, and other great features and benefits! You can do quick Scopes that show how to use a product, who would be best to order the product, and of course how they can place an order or contact you for more information. Share Industry News – What is happening in your industry? What exciting new things are happening within your company? How about within your team? Share those announcements via Periscope and let your followers WOOOHOOO along with you! Go Behind The Scenes – Periscope gives you an opportunity to take viewers behind the scenes for what being a Direct Sales Professional is really like! This means you do NOT have to be 100% business! Show the personal side of your life too! Webinars or Training Events – Have a great training you want to share with your team? Why not share it on Periscope for everyone to see? Sharing tidbits of training can help you grow your audience, show your expertise and show off what fantastic training and leadership skills you have! Customer Service – Maybe the most important reason to use Periscope is for customer service. With Periscope you can give your customer base another way to connect with you, interact with you, ask questions and get to know you on a more personal level. You do not need fancy equipment – Do not let this stand in your way. While I do suggest having a “tripod” of sorts, you can place your smartphone on anything for stability. Little known fact – my “tripod” is a planter turned upside down with a can of tomato sauce behind my phone. Seriously. Encourage your Viewers to “Share” your broadcast to invite other viewers to come watch! They can tweet out the invitation or invite their followers directly through Periscope. This will help gain viewers and followers. You want to also ask people to follow you – and instruct them to swipe up or to the side depending on if they are on iOS, Android, or Windows. Let them know if you follow back or how often you scope, to let them know what they can expect by following you. Introduce yourself on every broadcast… maybe even a couple of times. Because Periscope is public live streaming, you may get new viewers with every scope. Introduce yourself and your business at the beginning of each broadcast, and then as you see new viewers logging in. You can also repeat what your scope is about – so that new viewers can choose to stay or go. Be consistent with your Scoping – followers on Periscope are loyal, and will get used to seeing you often! Use our December Video Challenge Prompts to help you come up with content ideas to get you started with your Scopes! Speak slowly and clearly – and know that sometimes broadcasts are going to freeze. Do not stress out! Live streaming still has glitches – do not panic. Scopers know and understand. Hang in there – it will pick up again shortly. Name your broadcast strategically – and use hashtags. When people are searching for a live scope, the name of the broadcast is what will make them interested – or not. Use an engaging broadcast and use hashtags which will show on Periscope and on Twitter! Retweet your Broadcasts – remember that your Scopes are only available for 24 hours – so to get the most out of each scope, retweet the link during peak times! Block the Trolls – The downside to Periscope is that of any other social media platform – there are trolls. People who log in for the sole purpose of heckling Scopers to throw them off their game. Do not hesitate to block said trolls – you can do so quickly and easily by tapping on their name and then hitting “block.” They will no longer be able to see you or any of your broadcasts. Good riddance. Remember that the more compelling and engaging your scopes are, the more quickly your account will grow. Make sure to always offer great quality content, and while you do not want to sound like you are reading, you may want to create notes or a bullet point list to help you stay on track. Engage, engage, engage! The beauty of Periscope is that you can immediately connect and interact with people from all over the World in real time! Have fun with it, build relationships, and enjoy this cool little bit of technology!